If you are here to gain some knowledge about the different types of the industrial cooling tower then let’s start from the basic. The first thing that you should learn is what is cooling tower what it is used for. If we put it in simple words then the cooling towers bring out the heat from water by evaporation. This cools down the small amount of water. This cooled water evaporates into current air flow to enable the source of cooling affects the remaining water stream. 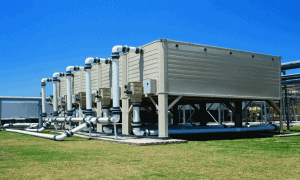 There are various applications for cooling towers. It is used for manufacturing, air conditioning and also for electric power generation. Cooling towers are available in different shapes and sizes. It depends on the manufacturer and customer’s requirement to get the functional design. The types can be divided into two main categories: opened and closed. An open cooling tower is known as direct cooling towers. This system enables water to contact outside air. The cooled water will come back. However, due to lots of evaporated, the requirement of introducing more water arises for replacing the lost water. This type of tower also ensures that no foreign pollutants come into the water. Closed cooling tower type also known as the indirect cooling towers. It works completely opposite of open cooling tower. Nothing comes in contact with the inside water. It has numerous heating exchangers. The temperature of the water will be reduced to cool as it goes through the heat exchanger. The main benefit of this type of cooling tower is that the water remains pure. Even the process has involved using the same water, again and again, there are some flaws which lead to loss of water. It is important to minimize water loss. Due to the following factors, the water is lost. This is the key part of the functionality of the entire process, but it is also one of the reasons for water loss. It becomes important to estimate the complete rate of evaporation. When the water level surpasses the pre-set level in the cooling tower, overflow occurs. To reduce the water wastage, it is important to check the water level frequently. Whenever splashes are the case inside the tower, more water is wasted. This can occur mostly due to the wind. Finding a solution to this can help in saving a significant amount of water. Apart from these, there are various factors that lead to water loss and reduce the efficiency of the tower, which included invisible leakage. These things should be covered at the time of cooling tower service. Now, when it comes to the industrial cooling tower, renting is a more popular option. Most of the organizations prefer renting rather than purchasing. The main reason for this trend is the significantly low cost. If you are looking forward to installing a cooling tower in your industrial unit then you should find a reputed company that offers end to end deal. Experienced manufacture are more keen on creating a perfect design as per your requirement. One of the main benefits is that you can also find a custom solution here. When you approach a reputed company, you get to choose from a vast range of products. In future, if you will look for the cooling tower parts then also you can find it from the same place. It saves your time. You can ask for quotations from a number of companies. Look for the best deal available in the market. However, going with the cheapest one is not always a wise decision. You also need to take quality into account. Many companies are keen on taking care of their customers and they provide excellent after-sale service, which includes set up, guidance and providing up to the mark maintenance service when required. There are two main types of cooling towers, but as far as the designs are concerns there are so many options available in the market. Some of the most common designs of the cooling towers are field erected cooling tower, round cooling tower, square cooling tower, fanless cooling tower, etc. It is to find a reliable manufacturer. There are just a few things to be considered, like experience, a range of products, service quality and cost. 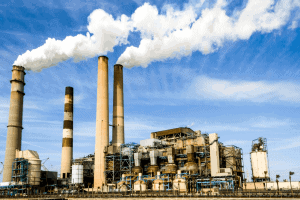 PreviousPrevious post:A complete guide to know about cooling towersNextNext post:How to deal with common problems of cooling towers?